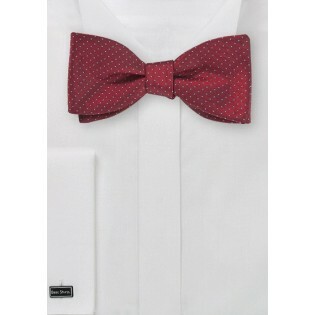 Designed by Blackbird, this Freestyle Silk Bow Tie in Red with Light Blue Dots is just what you need to adds some lively color to your wardrobe. 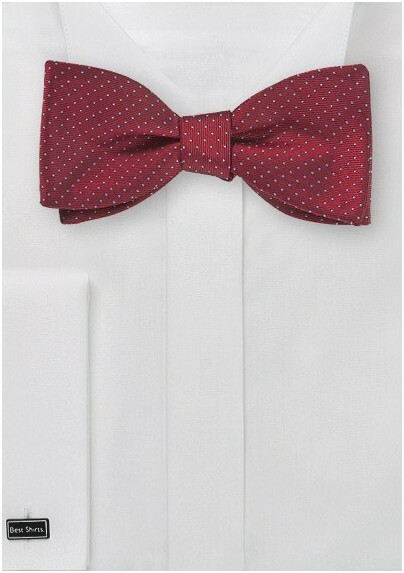 Handwoven from fine silk, this piece includes a self-tie bow and easily adjustable neck strap. Also available in a matching pocket square and necktie.